One of our goals is to help newer woodturners find one or more mentors to help hone their skills. See photos of items our members have turned. Our members use their talents to support the local community with projects such as Turn for Troops, Empty Bowls and Beads of Courage. MAWT regularly schedules special events to inspire and educate our members. Welcome to the web site of the Milwaukee Area Woodturners. Our next event is a regularly scheduled club meeting on May 5, 2019. 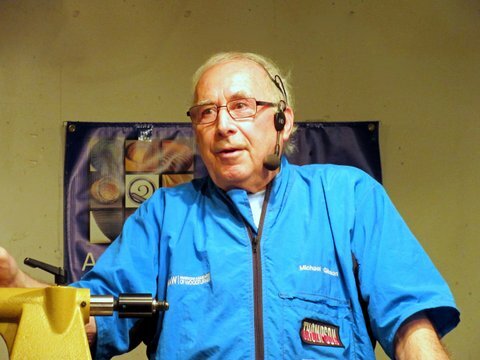 Club member Jim Andresen will make a demo of one of his fantastic objects. Contact Us for more information about the club. You can use the contact form on the contact page. Learn how to become a member of the Milwaukee Area Woodturners on the membership page. Thank you for looking over our web page. To really experience the club, come to our next meeting.